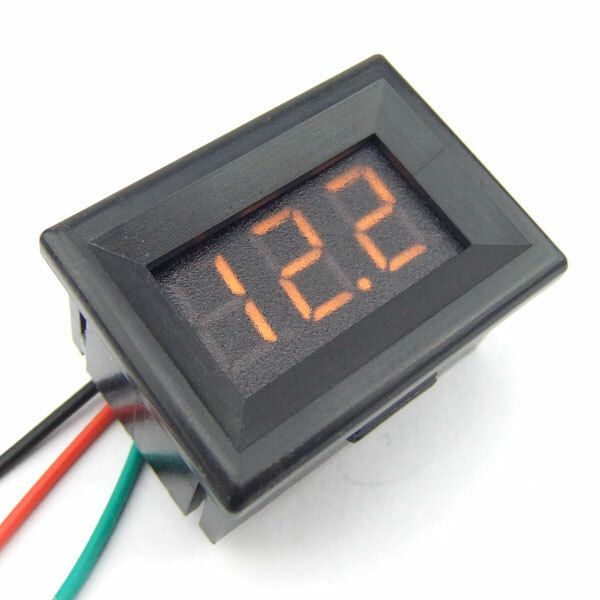 It is a Red/Blue/Yellow/Green Digital Voltmeter/Panel Meter/Tester, Measuring Voltage Range: 0~30V, Power supply: DC5~25V, Flashing alarm when the voltage is lower than 11.5V, 4 times Overload capacity,it has Reverse polarity protection, small size, high efficiency, long term stable and reliable quality, easy installation and use. Can be used to All kinds Voltage Measuring. Application: industrial equipments,electronic equipment, Power distribution box, distribution cabinet, regulators, teaching aids, household small distribution box, Storage Battery Car,Motorcycle, Car, E-bike, ATV, Scooter, and All kinds Voltage Measuring.